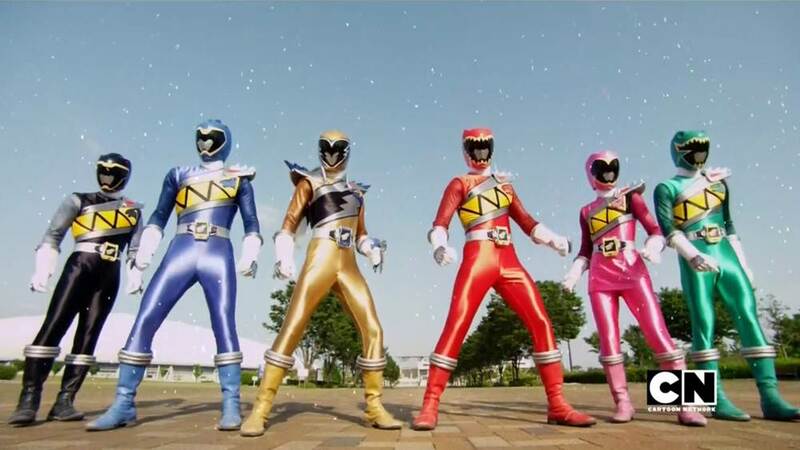 The fan-favorite season of Power Rangers Dino Charge has almost reached its conclusion – and it’s setting the stage for Power Rangers Dino Supercharge! In the latest episode, Wishing For a Hero, the Power Rangers are looking for a new hero to take on the powers of the Purple Energem! But when Fury discovers the Purple Energem has no host, he informs Sledge who releases a new villain on the scene – Heckle – who plans to use his human form to take the Purple Energem for himself! But because things are never easy when you’re a Power Ranger, an escaped prisoner named Dark Star is also after the Purple Energem while using his wishing powers to cause the Rangers to make wishes that backfire in their faces in the most horrible of ways. Can our heroes stop all these villains from obtaining the Purple Energem? Or will they find the hero that they need to hold the power? Click the ”Discuss on TokuNation Forums link at the end of the story and vote on this episode and share your thoughts on it! The episode will air Saturday, November 28th on Nickelodeon! Check local listings for the exact time in your area! This is it! We're down to the second-to-last episode of the season! After the Power Rangers Dino Charge acquire the Purple Energem from Albert, who chose to remove the binding he had with the Energem, the Rangers are now looking for a new host for the Purple Ranger powers! But Fury discovers this revelation which causes Sledge to release a being responsible for destroying an entire galaxy ... Heckle, who "looks human" ... to stop the Rangers. To top it off, an escaped prisoner Dark Star is on the loose, using his wish powers to trick the Rangers in to making wishes that backfire on them on the worst possible ways! Will the Power Rangers Dino Charge find a new host for the Purple Energem? Or will Sledge, Heckle, and Fury steal the Energem? Or will Dark Star be the first monster to succeed in defeating the Power Rangers? Discuss the episode and vote! Really!? They gave "that guy" from Deboss the name "Dark Star"? Isn't that the name of a flop film by John Carpenter (prior to Assault on Precinct 13 and Halloween)? P.S. : Finally gonna show us Heckyl, eh? Heard about this guy continuously, but know so little about him. There are a couple of well-known and devious villains among PR history. Hope this guy can join that pantheon. The wish guy? Wish Star, not Dark Star. So Sledge has Necrolai in a cell?? Does her daughter know? Am i the only one who saw one of the bad guys from Mystic Force in a cell? I can't wait for next weeks episode. Next Season we better get the MMPR/PRDT Cross over. Somthing to make up for the let down of the Legendary battle. Just caught Necrolai's cameo too. Hate to say we're getting the Christmas episode next week, then the season finale the week after. Calling it now Heckle is Talon.